About this piece: These are attempts to “bring to life” my previous digital paintings* for the 2017 press release, “A Tale of Two Pulsars’ Tails” for Dr. Bettina Posselt, et al. 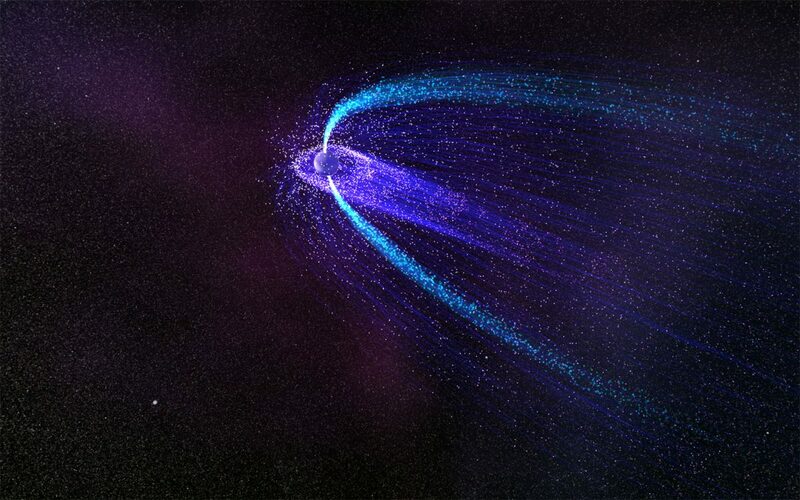 (http://news.psu.edu/story/445639/2017/01/17/tale-two-pulsars-tails-plumes-offer-geometry-lessons-astronomers). Eventually I’d like to use “Unity” to develop more complete, stand-alone playable apps (and/or embedded web features) for these and other simulations, giving viewers controls to more freely explore the scenes — change the camera angle, position, turn on/off certain layers, etc. This artwork is copyright © Nahks Tr'Ehnl. All rights reserved.